Conditions are determined for which optical interconnects can transmit information at a higher data rate and consume less power than the equivalent electrical interconnections. 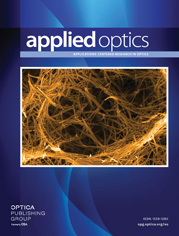 The analysis is performed for free-space optical intrachip communication links. Effects of scaling circuit dimensions, presence of signal fan-out, and the use of light modulators as optical signal transmitters are also discussed. Note:∊ox = the permittivity of silicon dioxide = 3.9 × 8.85 × 10−3 fF/μm; ρ = the resistivity of aluminum = 0.0274 Ω μm.